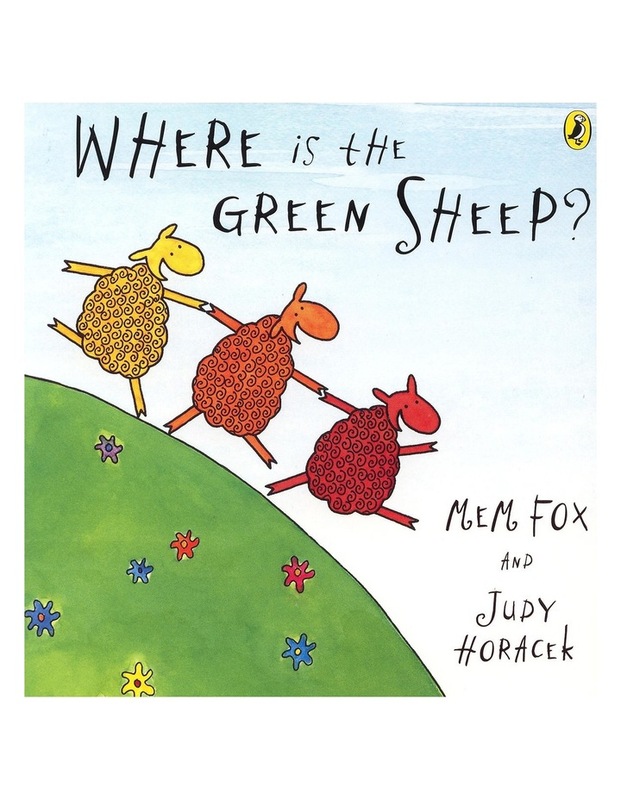 Board board edition of Mem Fox and Judy Horacek classic picture book WHERE'S THE GREEN SHEEP. Here is the blue sheep, and here is the red sheep. Here is the bath sheep, and here is the bed sheep but where is the green sheep?